What are you laughing at, Jamie Masada? 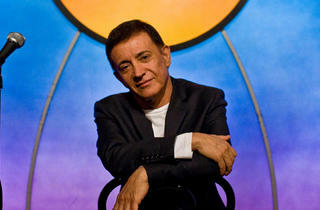 Time Out goes one on one with the Laugh Factory owner and LA comedy world impresario. 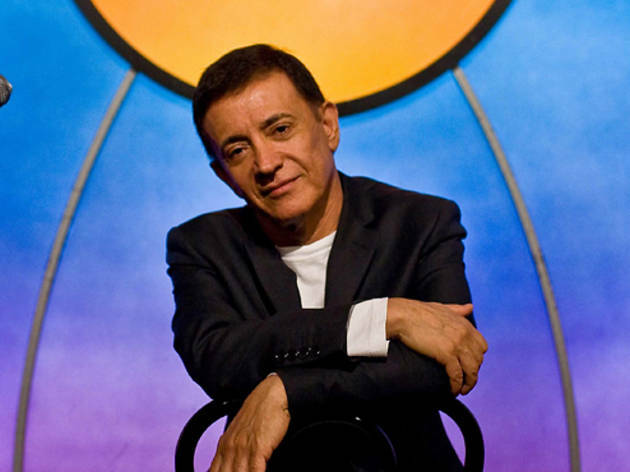 At the tender age of 16, Jamie Masada got tired of LA comedy club owners refusing to pay comedians, so he borrowed money from a friend and opened the Laugh Factory in Groucho Marx's old building. It was an immediate success. “The first comedian I had onstage was Richard Pryor, ” Masada recalls. The Iranian-born Hollywood resident first turned to comedy as a youth to deal with his dyslexia struggles. “A lot of comedians overcome their pain and tragedy by putting a smile on other people’s faces,” he says, noting that he even took a stab at flaunting his comedic chops back in the day. “I used to emcee, but I realized that as much as I enjoy making people laugh, I’m not as good as everyone else is. So, I decided to take my talents backstage.” Lucky for Pryor. And Jim Carrey, Chris Rock, Jamie Foxx and the dozens, if not hundreds, of comedians who got their start—and made a name for themselves—on Masada’s vaunted stage. Time Out LA: How do you find up-and-coming comedians? Jamie Masada: We have an open mic night at the club that we’ve been doing for 32 years every Tuesday in LA, Wednesday in Chicago and some Thursday nights in Long Beach. I love to watch raw comics. And I critique them—either hooking them up with an agent, deciding if they’re ready to be showcased or giving them advice. Time Out LA: Bombing onstage is a lot like bombing on a first date: the awkward silences, sweaty palms. In your experience, is there a graceful way to recover and turn it around? Jamie Masada: I think the most important thing for any comedian to remember is that sometimes you get people who, no matter what you do, they’re in a bad mood. Your confidence has got to keep you going. The first time I did stand up, I’d never had a spotlight on me and I couldn’t see anyone. I started to forget my words in English—I didn’t speak it very well. I started to say my jokes a little in Farsi and a little in Hebrew. But even though I was speaking a different language, the audience was laughing because I still had my confidence. Time Out LA: Is it true that all comedians are secretly depressed? Jamie Masada: I don’t think that all comedians are depressed, but they’re like doctors of the soul and want to make people laugh all the time. If they go onstage, and they don’t make people laugh, they feel like they failed. The flipside is that if they did do it, they get such a high. There is no high like a standing ovation and applause and people laughing. Time Out LA: What’s your favorite hang-out spot in LA? Jamie Masada: If I’m in town, I’m at the club seven nights a week. Quincy Jones came up to me once and asked, ‘Where do you like to go hang out?’ He said he loves jazz clubs, but I told him that I love to go to the Laugh Factory. The laughter is music to my ears. There’s an Italian place across the street from the club, called Luca. All the comedians, we go there together after the show. Time Out LA: Tell us one thing that most people don’t know about you? Jamie Masada: One of my greatest passions is animals. I have 11 dogs that I’ve rescued, most of them are mutts, but I also have a German shepherd and a pit bull. I work with different people and organizations to help rescue animals, most notably the nonprofit Pryor’s Planet. The Laugh Factory's open mic night is every Tuesday at 6:30pm. Sign-ups take place the week prior. Check venue for more information.